With much debate about GMO production, this issue remains at the forefront of food production. Each side of the debate has valid points. However, Hirzel Farms feels that the both the economic and ecological production of food can be done without the use of GMOs. Everything produced and processed by Hirzel Farms is 100% Non-GMO. To accomplish this, we work closely with companies that are utilizing modernization of old school production agriculture, coupled with cutting edge technology. Much of this is done with close partnering with such companies as KRESS cultivators, Paul Martin and Son for tillage, and precision guidance from Green Field Ag. In the late 70’s we began converting some of our acreage from conventional agriculture (using synthetic fertilizers and pesticides) to organic production. 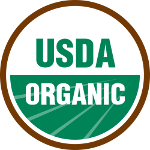 In 1982, we certified 345 acres into organic production. Organic crop production is done without synthetic fertilizers or the use of pesticides of any sort. This also requires annual certifications of practices by a third independent party. In order to produce an economic return in our organic production, we utilize a combination of applying our own compost and cover crops for fertility. To help prevent disease and insect infestations, we maintain a strict crop rotation as well as a weekly field inspection. 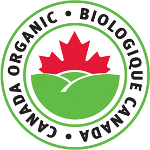 Today, we have over 1000 organic acres certified by Global Organic Alliance. We raise corn, soybeans, spelt, rye, wheat, (both hard spring and soft winter red), and triticale. All crops are raised as food grade, however, we do use a portion of our production to seed the next crop, under proper licensing. Full scale on farm research into the growing of our processing crops allows us to find better ways of providing the consumer with a safe and healthy product. Such processing crop trials include reduced pesticide use, and various variety plantings. If you would like to learn more about our processing crops operation, please feel free to contact Lou Kozma, Jr. at [email protected].